Combination weapons. 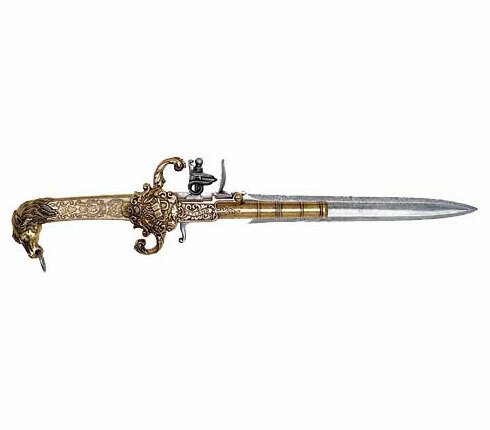 It is not uncommon to find guns built into swords, daggers, axes ans similar weapons. 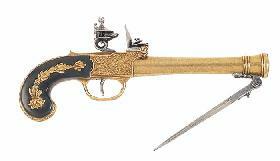 It is also common to find pistols and blunderbusses with spring loaded or manually deployed bayonets. 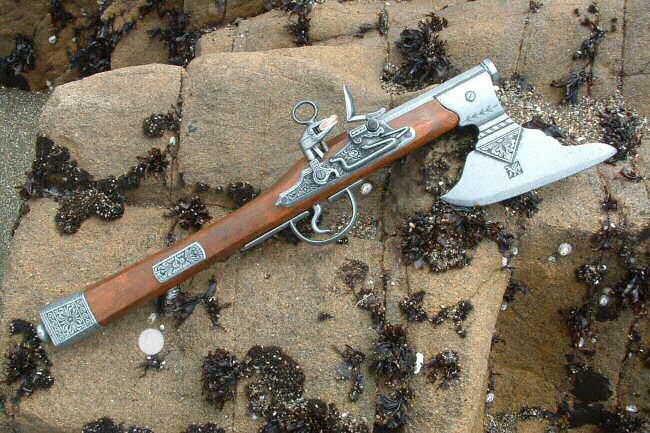 This axe gun fires a medium sized pistol ball. This axe gun fires a heavier musketoon round. 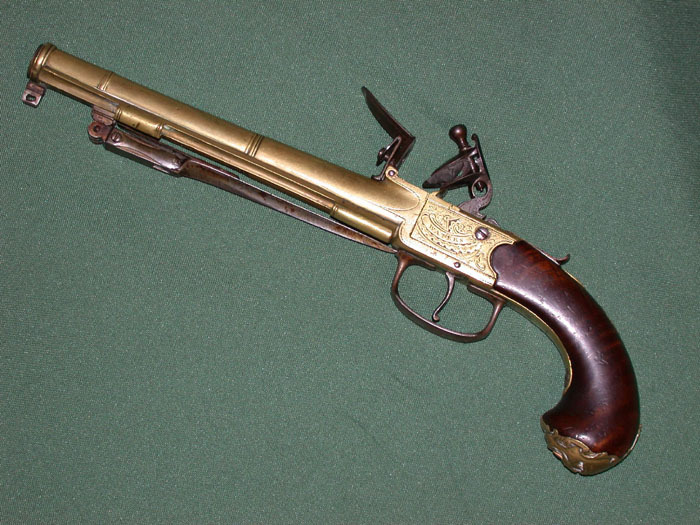 The pistol dagger shoots a light, 30 to 45 cal, ball from what is the equivalent of a pocket pistol. 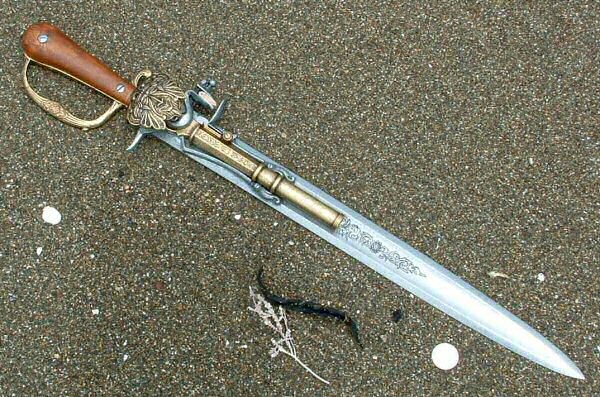 This short sword has a 50 cal pistol mounted to it. Sword guns usually mount a heavier calibre pistol then a dagger. 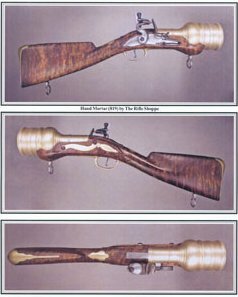 Bayonets for muskets are detachable and can be used as a hand weapon. 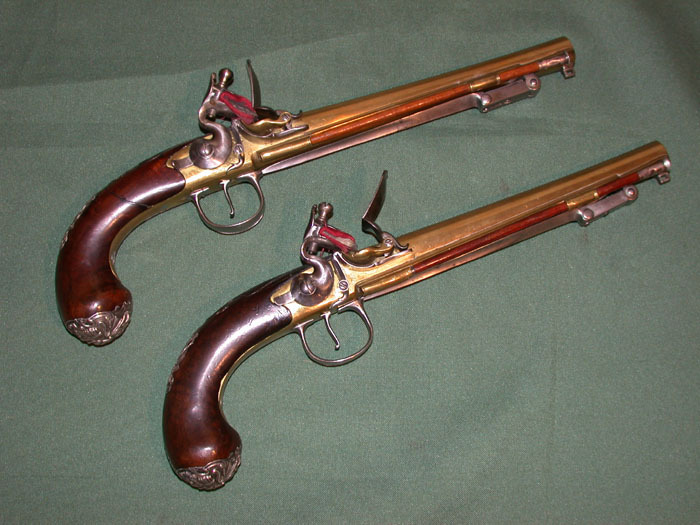 Bayonet pistols have spring loaded or manually extended stabbing blades on them. Such mountings are not as robust as a socket bayonet but can save your life in a pinch. The standard hand grenade is a small, hollow iron ball with a hole The hollow sphere is filled with black powder. The hole is fitted with a tube of cane, wood or bamboo that allows a fuse to be inserted. Improvised grenades are common. typically a bottle or jug filled with black powder and nails or musket balls and fitted with a fuse. In either case, once the fuse is lit the grenade is then thrown by hand. It will detonate in about ten seconds. Give or take….